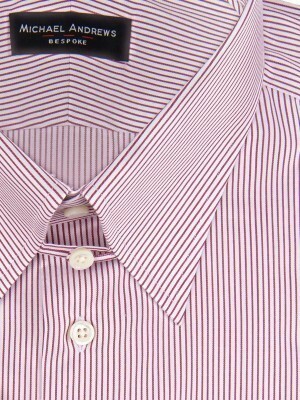 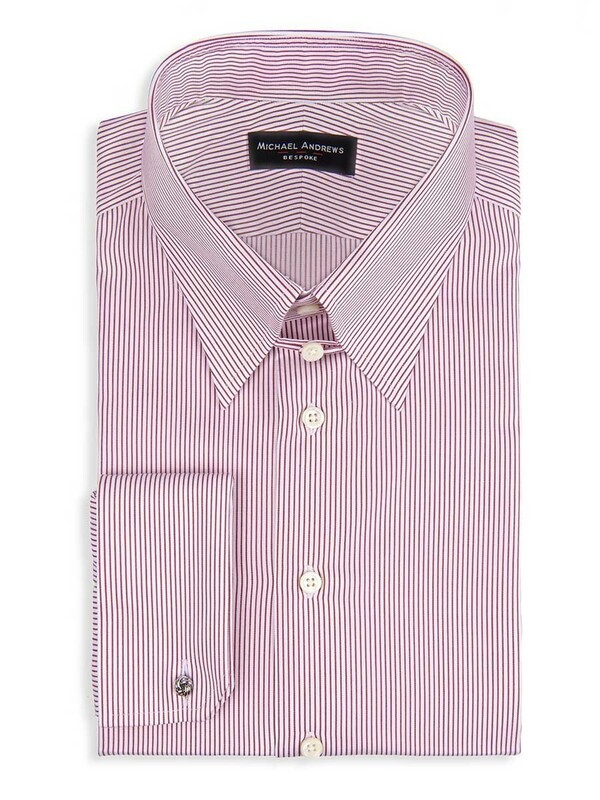 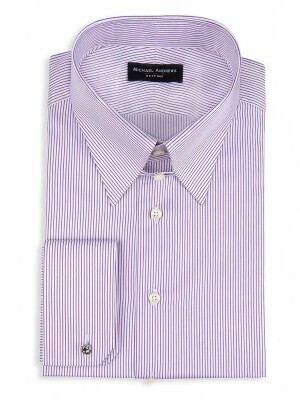 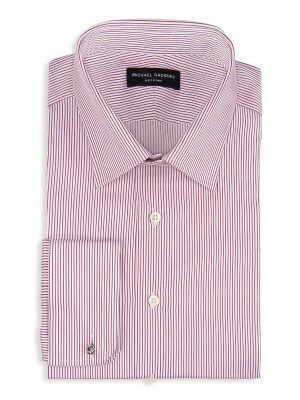 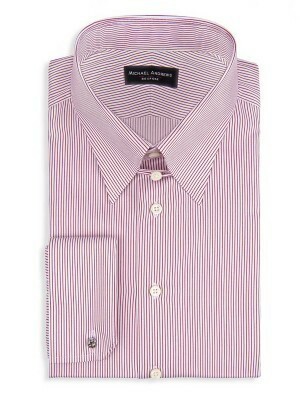 The vertical stripe of this shirt is classic, with an edge. 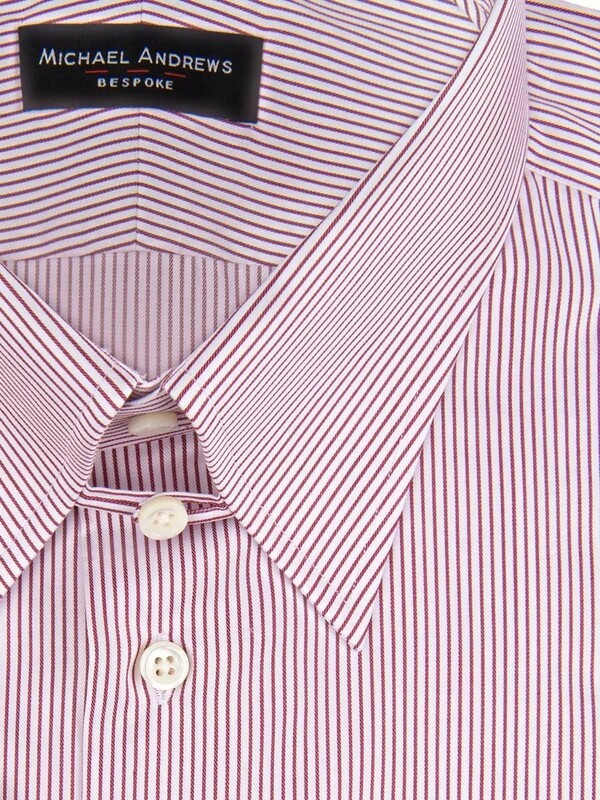 Our burgundy version features a tab collar, french cuffs, and added visual interest whilst keeping the formality of a solid color. 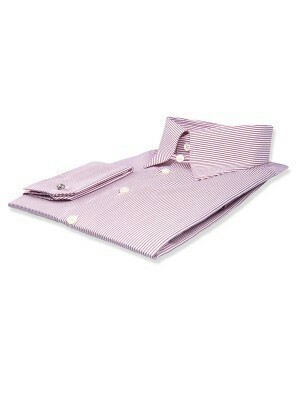 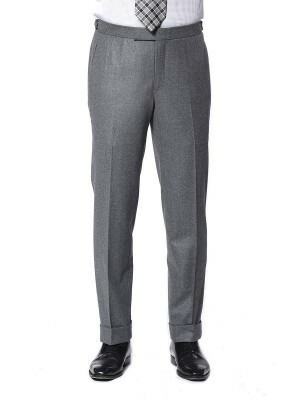 Made from popular 70's 1-ply cotton from Albini.